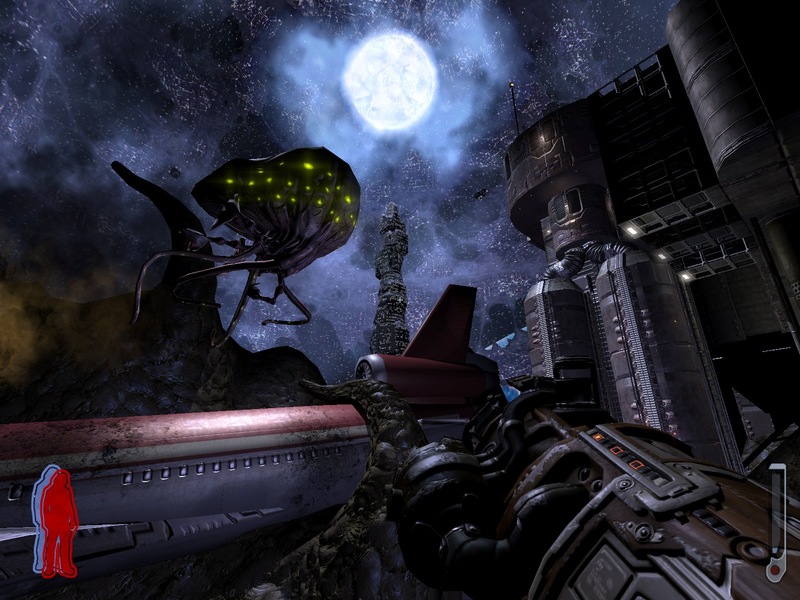 When the original Prey debuted way back in 2006, the game was quickly dubbed a hit and it was among the best games available for the Xbox 360. Of course, the pickings were fairly slim at the time for the 8 month old console, but it was still a fine game that gained a decent following. So it wasn’t much of a surprise that development on a sequel had already begun. That was nearly five years ago. Developed by Human Head Studios, Prey was both a critical and commercial success for both the developer and publisher, 2K Games. The game was originally announced in 1995, and after years of development hell, the title finally seemed to have the full support of all those involved. But following the release of Prey, the complicated minefield of legalities surrounding the game began to make things weird. Although Human Head Studios is the official developer, 3D Realms is the producer. The Xbox 360 version though, was handled by Venom Games, while the Mac version was from Aspyr Media. To further complicate matters, the company Radar Group—which currently owns the rights to the Prey franchsie–was founded during this time, and is attached to produce the sequel. Radar Group is a company that does not develop or publish, but instead co-creates new IPs, which it claims will help with cross-media, including film. Radar Group may end up being a beneficial force in video games, but as it was finding its footing Prey 2 was left on the backburner, at least until now. The original publisher, 2K Games, is no longer attached, and the publishing duties are now in the hands of Bethesda Softworks, who today announced that the sequel will be released in 2012. If you missed the original, it is a game worth checking out (plus you can probably find a copy in the bargain bins thanks to the age of it). The story of Prey is seen through the eyes of Domasi “Tommy” Tawodi, a former Army soldier and member of the Cherokee. As the game begins, Tommy is trying to convince his girlfriend Jen to leave their reservation in Oklahoma, when the bar they are in is lifted up and taken into space aboard the “Sphere”. The Sphere is a space bound construct circling and artificial sun, that travels from planet to planet and harvests resources—including people—which it then cybernetically augments and puts into service. After witnessing the brutal death of his grandfather, Tommy is himself wounded. In a near-death experience, he is granted ancestral powers including the ability to spirit-walk. He then begins to search the Sphere and fight the inhabitants in order to save Jen. Prey was originally designed for the PC and the Xbox 360, with Mac and Linux ports debuting later. A PS3 version was not developed simply because the PS3 had not yet been released when the original title debuted. The sequel however will be available for the PS3, as well as the PC and Xbox 360.